NMGIC Board Election is open until 5:00 pm on Friday, October 14! The NMGIC Board Election is open until 5:00 pm on Friday, October 14. If you have not voted yet, please cast your vote! Please limit your voting to one ballot. 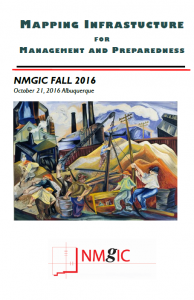 Fall NMGIC Meeting – Oct 21! Registration will be from 8:00 – 8:45. Final agenda will be sent out soon!